The No. 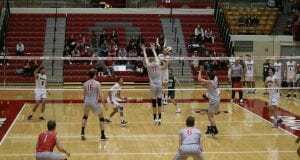 2 Ohio State Men’s Volleyball team (22-1) returned home from a two-game road trip and defeated Fort Wayne (5-19) in straight sets (25-11, 25-11, 25-16) on Thursday. The Buckeyes entered the match off of two straight road wins against No. 10 Loyola and No. 7 Lewis, after losing for the first time in 42 consecutive matches on Mar. 11 against fifth-ranked UC Irvine. With limited minutes for junior outside hitter Nicolas Szerszen and senior opposite hitter Miles Johnson, junior outside hitter Maxime Hervoir and senior opposite hitter Ryan Genn stepped up and combined for 21 of the Buckeyes’ 30 kills. 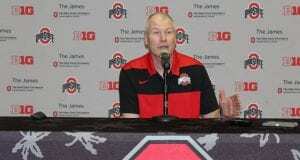 It took no time for the Buckeyes to return to its winning ways at St. John’s Arena. 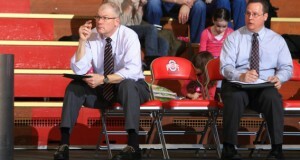 OSU defeated Fort Wayne 25-11 in the first set, combining for eight kills on eight assists. The Buckeyes also had a 5-0 run in the middle of the set to help secure the 14-point set victory. However, the Mastodons really struggled on the attack, combining for a negative-.211 hit percentage with nine attack errors and four service errors. The momentum did not stop after the first set. Redshirt senior middle blocker Driss Guessous started the second set with a kill and OSU never looked back. 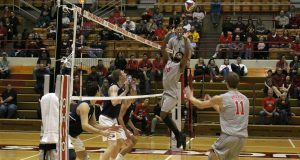 The Buckeyes won six straight points and went on an 11-1 run, leading to a 25-11 second set win over the Mastodons. Genn shined in the second set, recording five of the Buckeyes’ 10 kills in the set. With extended playing time, Genn was ready to show people what he could do on the court. 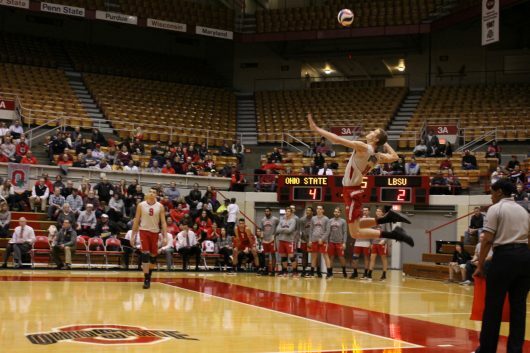 The Buckeyes won the third set 25-16, with Hervoir scoring six of OSU’s 12 kills. Hanson was very pleased with the junior after he led the team with 11 kills. 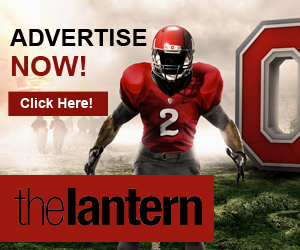 With a home win under the Buckeyes’ belt, OSU will next take on a familiar foe in No. 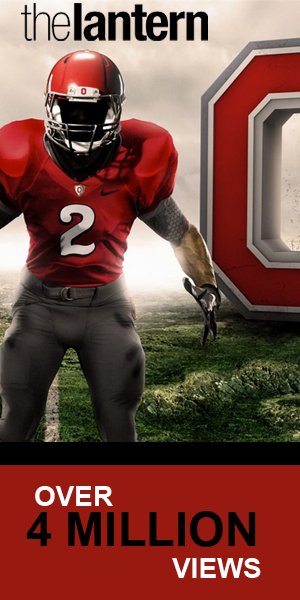 11 Ball State. 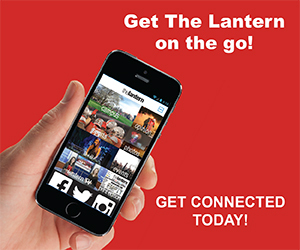 The Buckeyes and Cardinals will show down at St. John Arena Saturday night at 7 p.m.